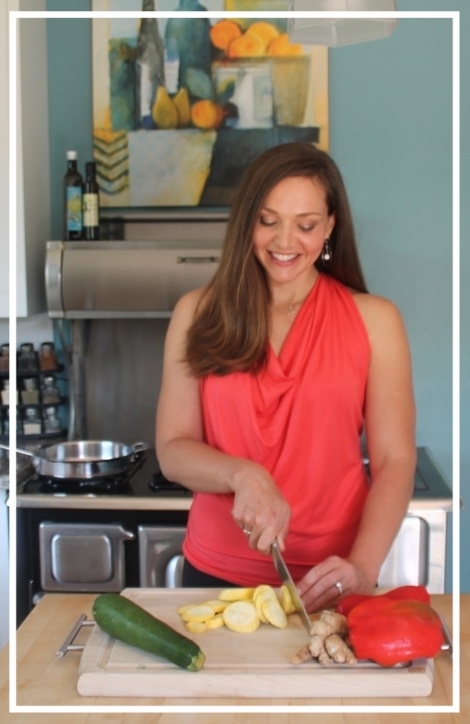 This month, the recipe challenge from The Recipe Redux was to showcase a tried and true, favorite kitchen tool I couldn't live without. The very first thing that came to mind was my pressure cooker. My grandma gave me my pressure cooker while I was in college (over 10 years ago! Ah!). I think I've used the thing a total of maybe 20 times - about 19 of which have been in the last several weeks. I'm obsessed - and so sad it sat in my pantry collecting dust for so long. So much time wasted! As with all of my recipes since baby came around, time is of the essence - as is ease of execution. This recipe tops the charts in both of those categories! If you've ever worked with dry beans before, you know they take a looooooonnng time to cook. They usually involve soaking for hours (or overnight), then boiling them for countless more hours. Well NOT with a pressure cooker! This bad larry takes these babies from rock hard to squish-between-your-fingers soft in in 18 minutes!! Now, you could always buy canned beans, buuuut if you're budget conscious at all, you know that one a one pound bag of dried beans costs about the same as one can of cooked beans, and makes about SIX times as much! Also, if you're concerned about the BPA lining in cans, or the sodium that comes along with the canning process, you wouldn't have to worry about these factors at all when you cook dried beans. If you have cooked dried beans, you may be used to soaking them for hours. This soaking process helps reduce the lectin content in beans and free up the beneficial nutrients they contain. Cooking beans under high pressure (in a pressure cooker!) also helps remove the vast majority of any remaining lectins. Lectins are a protein responsible for the gas many of us get from consuming beans. I don't know about you, but I'm all about enjoying the fiber, protein and other nutrients beans offer - sans gas, thankyouverymuch! When you buy dry beans - either in bags or in bulk, rinse them well, then soak in boiling water for an hour before draining, rinsing one more time, then putting them in the pressure cooker with liquid to cook for a whopping 18 minutes. This is a reduction of about 8-10 hours in the usual bean-cooking process. You're probably reading the title of this recipe thinking "She says they're 30 minute beans, but the soak takes an hour...can this girl do math?" 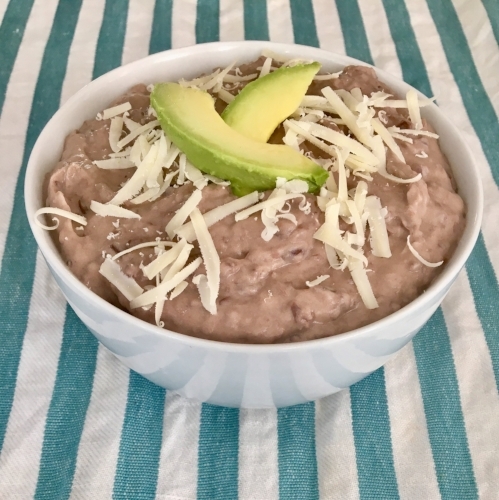 I'm only counting the actual cook time here - from start of the pressure cooker until you have steaming, creamy, not-so-refried beans on your dinner table as a delicious side dish. These "refried" beans aren't actually fried - or refried at all. In fact, there's only 1 tablespoon of oil in the whole recipe - just enough to keep the foam down in the pressure cooker while they cook! Traditional refried beans are made with a load of lard or bacon drippings. Now don't get me wrong - I LOVE refried beans from a good Mexican restaurant, but they are more of an occasional indulgence than a regular on my family's menu. In this recipe, cooked beans go from pressure cooker to blender or food processor with about 1/2 a cup of milk and 1 tsp of salt - that's it. If you want to get fancy, you can add aromatics like onion, garlic, oregano or other herbs in the cooking process. I like to keep it simple and have the beans be somewhat of a blank canvas to go along with other more flavorful components in a meal - like breakfast tostadas, or fish tacos. Rinse dry beans in colander, transfer to a bowl and cover with boiling water. Let soak for 1 hour. After 1 hour, rinse beans again in colander, then transfer to pressure cooker. Cover beans with 6 cups water and add oil to prevent too much foam from forming during the cooking process. 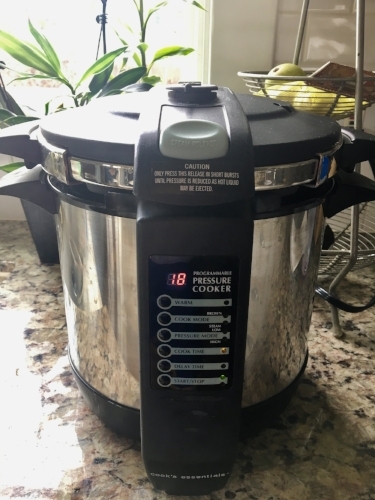 Set pressure cooker to high pressure setting and cook for 18 minutes. When the cooking time is up, use the pressure release feature on your pressure cooker to release the steam until you're able to unlock the lid. Drain the cooked beans in a colander, then transfer to your blender or food processor. Add milk and salt to blender/food processor with beans and pulse until beans reach a smooth, creamy consistency - about 1 minute. That's it! 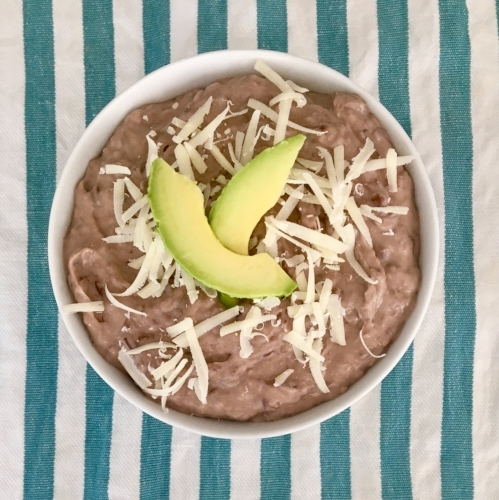 Serve these beans family style, topped with shredded cheese and avocado (pictured) with your next latin-inspired meal, add to a breakfast burrito to get some good fiber in your kids' breakfast, or layer them on a taco or tostada for Taco Tuesday! Enjoy!